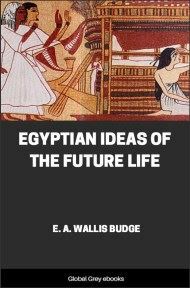 This is a collection of essays and translations about the 18th dynasty of Ancient Egypt, particularly Amenhotep IV, who attempted to impose a monotheistic religion on the Egyptians, and Tutankhamen, who led a counter-reformation. 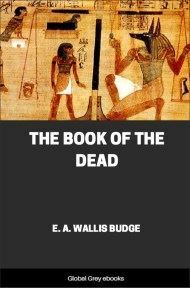 This slim book appears to have been pieced together from existing material, shortly after the sensational discovery of Tutankhamen's intact tomb. 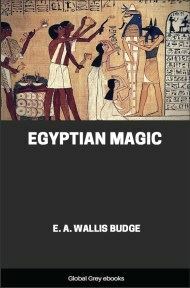 WHEN and where TUTANKHAMEN was born is unknown, and there is some doubt about the identity of his father. From a scarab which was found in the temple of Osiris at Abydos, we learn that his mother was called Merit-Ra. In the inscription on the red granite lion in the Southern Egyptian Gallery in the British Museum (No. 431), he says that he "restored the monuments of his father, King of the South and North, Lord of the Two Lands, Nebmaatra, the emanation of Ra, the son of Ra, Amenhetep (III), Governor of Thebes." It is possible that Tutankhamen was the son of Amenhetep III by one of his concubines, and that when he calls this king his father the statement is literally true, but there is no proof of it. On the other hand, Tutankhamen may have used the word "father" simply as a synonym of "predecessor." 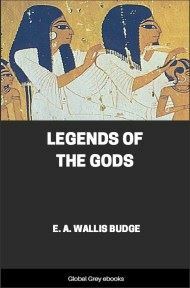 The older Egyptologists accepted the statement made by him on the lion that he dedicated to the Temple of Sulb in Nubia as true, but some of the more recent writers reject it. The truth is that the name of Tutankhamen's father is unknown. He became king of Egypt by virtue of his marriage with princess ANKHSEN-PAATEN, the third daughter of Amenhetep IV , at least that is what it is natural to suppose, but it is possible that he got rid of his immediate predecessor, Smenkhkara, or Seaakara, who married the princess MERITATEN, or ATENMERIT, the eldest daughter of Amenhetep IV, and usurped his throne. When Tutankhamen ascended the throne he was, or at all events he professed to be, an adherent of the cult of Aten, or the "Solar Disk," and to hold the religious views of his wife and his father-in-law. Proof of this is provided by the fragment of a calcareous stone stele preserved at Berlin (No. 14197), on which he is described as "Lord of the Two Lands, Rakheperuneb, Lord of the Crowns, Tutankhaten, to whom life is given for ever." 2. Nebti name. NEFER-HEPU-S-GERH TAUI. In some cases the cartouche of the nomen contains the signs which mean "governor of Anu of the South" (i.e., Hermonthis). 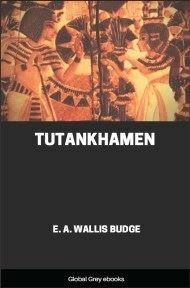 When Tutankhaten ascended the throne he changed his name to Tutankhamen, i.e., "Living image of Amen." Our chief authority for the acts of Tutankhamen is the stele in Cairo already referred to, and from the text, which unfortunately is mutilated in several places, we can gain a very good idea of the state of confusion that prevailed in Egypt when he ascended the throne. The hieroglyphs giving the year in which the stele was dated are broken away. The first lines give the names and titles of the king, who says that he was beloved of Amen-Ra, the great god of Thebes, of Temu and Ra-Heraakhuti, gods of Anu (Heliopolis), Ptah of Memphis, and Thoth, the Lord of the "words of god" (i.e., hieroglyphs and the sacred writings). He calls himself the "good son of Amen, born of Kamutef," and says that he sprang from a glorious seed and a holy egg, and that the god Amen himself had begotten him. Amen built his body, and fashioned him, and perfected his form, and the Divine Souls of Anu were with him from his youth up, for they had decreed that he was to be an eternal king, and an established Horus, who would devote all his care and energies to the service of the gods who were his fathers. 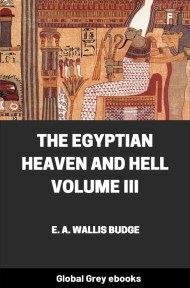 These statements are of great interest, for when understood as the king meant them to be understood, they show that his accession to the throne of Egypt was approved of by the priesthoods of Heliopolis, Memphis, Hermopolis and Thebes. 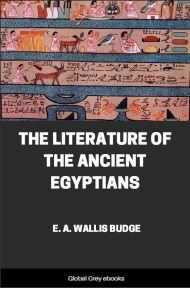 Whatever sympathy he may have possessed for the Cult of Aten during the lifetime of Amenhetep IV had entirely disappeared when he set up his great stele at Karnak, and it is quite clear that he was then doing his utmost to fulfil the expectations of the great ancient priesthoods of Egypt. The text continues: He made to flourish again the monuments which had existed for centuries, but which had fallen into ruin [during the reign of Aakhunaten]. He put an end to rebellion and disaffection. Truth marched through the Two Lands [which he established firmly]. When His Majesty became King of the South the whole country was in a state of chaos, similar to that in which it had been in primeval times (i.e., at the Creation). From Abu (Elephantine) to the Swamps [of the Delta] the properties of the temples of the gods and goddesses had been [destroyed], their shrines were in a state of ruin and their estates had become a desert. Weeds grew in the courts of the temples. The sanctuaries were overthrown and the sacred sites had become thoroughfares for the people. The land had perished, the gods were sick unto death, and the country was set behind their backs.